"Being disconnected from our cultures, communities and identities many times over the past 400 years leaves a lot of unanswered questions." 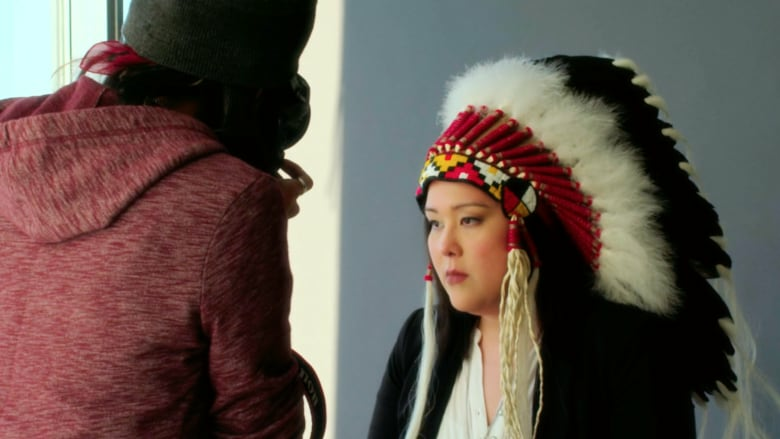 In JJ Neepin's powerful short documentary Headdress, the young filmmaker carefully recreates a black-and-white portrait of her great-grandfather Fred Beardy wearing a headdress. Neepin, a member of Fox Lake Cree Nation in Manitoba, also reflects on reclaiming tradition, cultural appropriation and why it's so hurtful to treat sacred items like props. "I want to start a conversation," she says, moments before receiving what she calls the "physical and metaphorical" weight of the borrowed headdress. 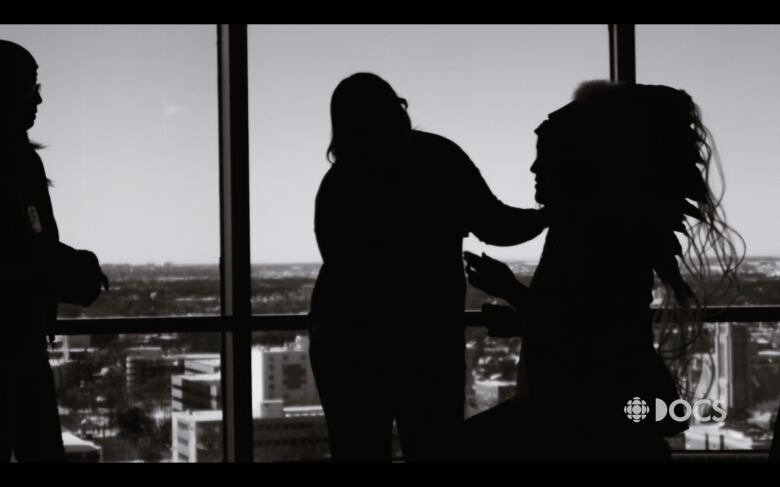 This roundtable discussion, inspired by the film, offers more context and illuminates three more perspectives on Indigenous cultural traditions, gender norms, (un)learning and who gets to feel like they are "native enough." Angela Semple, a proud member of the Ktunaxa nation and a PhD Candidate in Indigenous Studies at Trent University. They identify as two-spirit, and auntie, a writer and a cat person. Louis Esmé, a non-status Mi'kmaq, Acadian and Irish potter, illustrator and writer living in Dish with One Spoon territories. They co-coordinate the Living Legacies: Two-Spirit Stories project with Titiesg Wîcinímintôwak // Bluejays Dancing Together collective. 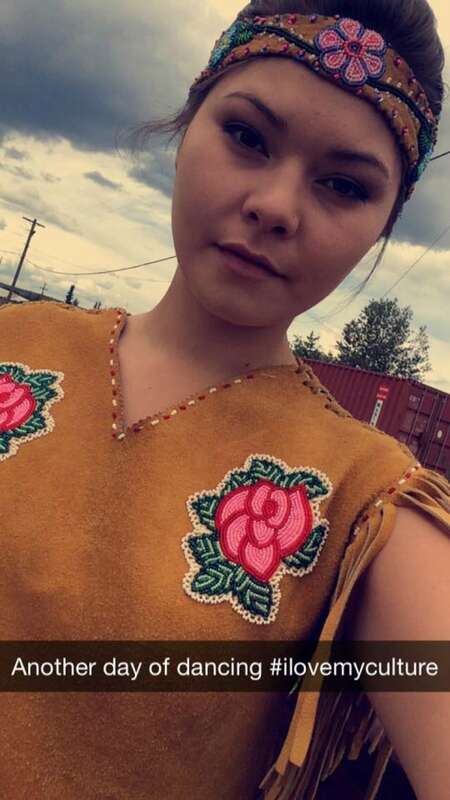 Shaheen Baker from Selkirk First Nation. She's been the Youth Councillor there for the past three years. Her heritage is Northern Tutchone/Tlingit. Baker is a lifelong hand games player and drummer. This piece was edited and condensed from an email correspondence that took place over the course of a week. Good morning all. I'm still pre-coffee, but here we go. I'm JJ, the lady in the film. 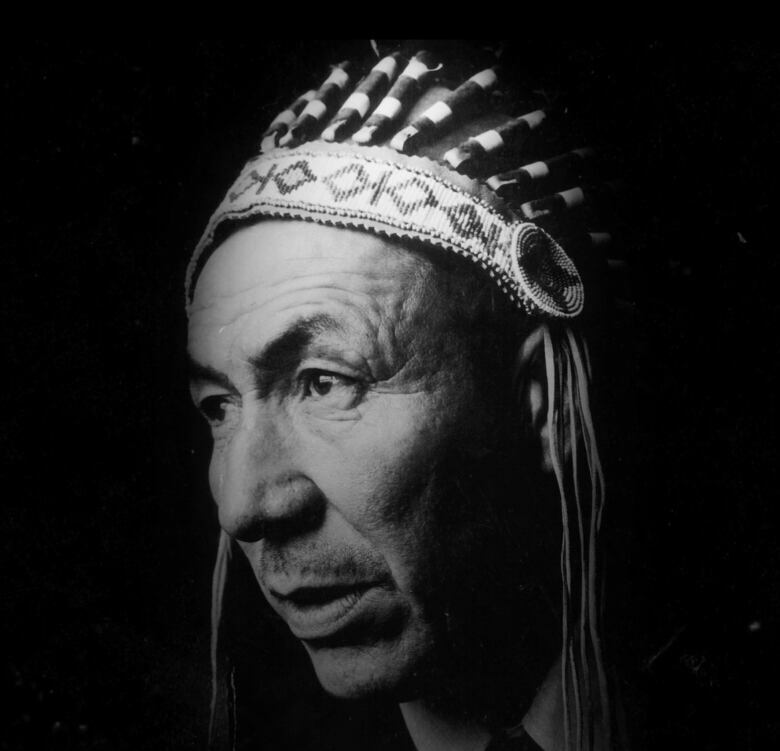 When it came down to the bare story idea, my sister and I wanted to recreate a photo of my great-grandfather and talk about the cultural appropriation of the headdress. My instinct was to recreate this photo, but then I realized maybe I shouldn't. I wasn't a Chief (which in itself is the part of the discussion) and I am female. I wouldn't say I've been taught that women couldn't wear the headdress, but that's what I saw and, like everyone else I'm sure, assumed it was more of a tradition thing. If a woman were a Chief, she wore something else. However I did ask my parents if they had ever seen a woman Chief wear a headdress. My mom said no, but dad, a Chief who has met so many other Chiefs, said "once, but it was a special occasion." After speaking with my parents about my idea, and getting their approval of sorts, I went ahead. So that's the gist. Thoughts? Hello! 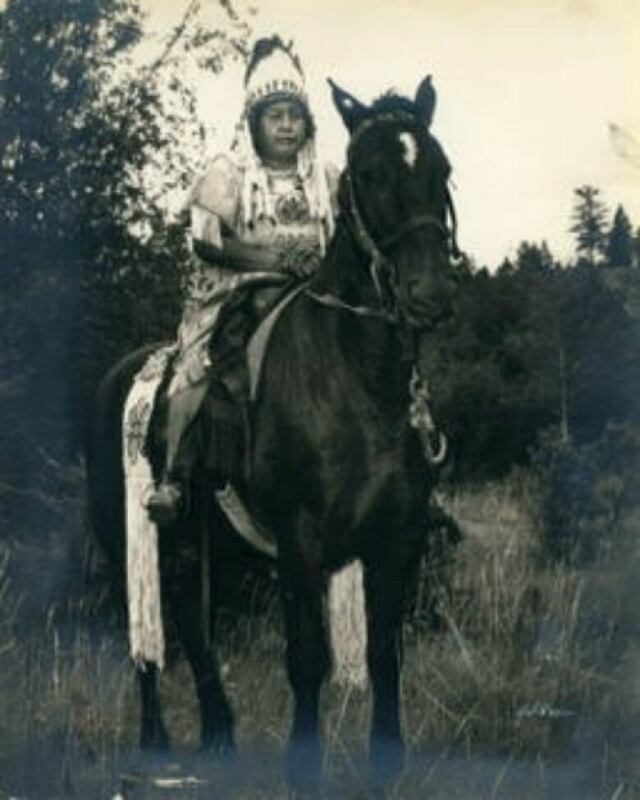 My first thought is about a photo of my great-grandmother, Margaret Teneese on horseback wearing a headdress. I believe it belonged to her father, Louis Arbel, the last hereditary Chief of the Akisqnuk First Nation. I grew up seeing this picture and I never thought much of it until I started seeing backlash against Coachella-goers because "women don't wear headdresses." I was always like... they don't? My grandma did. My mom has told me this photo is of my granny dressing up for the fall fair in our valley. It wasn't our everyday dress (yes, even then). I say this because the core of the headdress discussion for me isn't whether or not a woman should wear one, but rather about the way it has evolved in representations of us. Unfortunately, what I have noticed in my work is that settler Canadians want black and white answers. They always ask "what am I allowed to do?," wanting to know exactly what's right and wrong, but there's so much more to understanding the nuances of protocol and Indigenous knowledges than that. For me, when everyone wears a headdress — say to a hockey game, or a music festival — it's a mockery of who we are, and the "we" I use here is specifically Ktunaxa, because I speak from my perspective from a nation that uses headdresses. We as Indigenous peoples don't all wear headdresses. That image of the "Indian" comes from very specific nations, and maybe our other contributors can speak to this, as I believe they may come from nations that don't wear headdresses. Right, in my culture we don't wear headdresses. Instead we used staves. I remember seeing a photo of my relative Chief Isaac holding a staff. He was the Chief when the gold rush happened in the 1880s. He noticed his people were having drinking problems so he moved them down the river from Dawson. Now that place is called Moose Hiding. There are gatherings there every two years, and some Elders stay out there in the summer. It's also their fish camp. So, yay for Chief Isaac! I love the photos. I always wished there were more photos of a "traditional" nature of my family. There are and aren't. 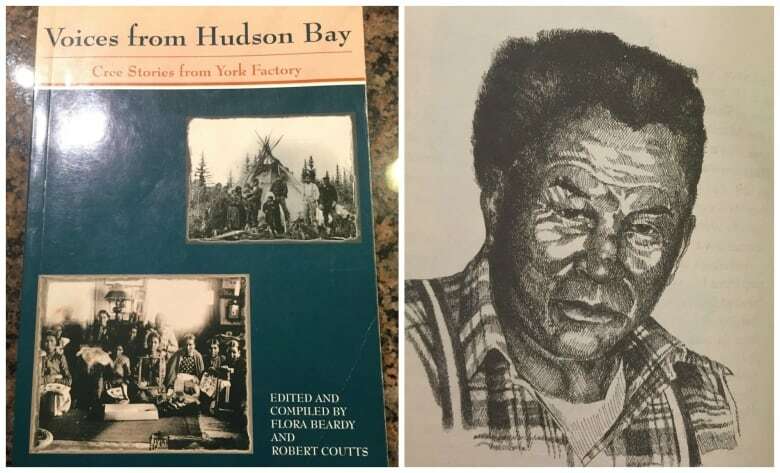 My grandparents and great-grandparents, all Manitoba people, did a lot of work/life alongside or with the Hudson Bay Railway (Bayline). So the old photos we have are of them working on railways. Not that it's bad, it's just different than what I thought my roots were. I can see they're hardworking people at the very least. Some pictures are in a book called Voices from Hudson Bay. Fred Beardy — the great-grandfather in the photo I recreated, from my mom's side — is in it. So is my grandpa from my dad's side, John Neepin. My great-grandfather in a headdress is the only "traditional" looking photo I know of. Interesting thought: why do I feel like a 'traditional' photo is more Indigenous than say a photo of my other grandpa working on a railway? Or rather, I used to feel this way when I was younger. Nowadays I feel proud of my grandparents' lives. But there was a time I didn't feel Indigenous enough. I don't speak Cree. My parents can. So I need them if I want to speak to my grandmother, my last living grandparent. The Wigwam Conspiracy: why are Canada 150's Indigenous people stuck in time? Another thought: when I wore the headdress, I didn't feel "native" enough to be doing it. It was a secret reason I didn't think I should recreate the photo. Those feelings come and go. I declare my ignorance and lack of teachings in the film but often I try to say it without shame. Yes I didn't know, but I know now. Okay, I feel like I am moving all over the place here, but I should mention another conversation with my mom (Chief of the Shuswap Indian Band). I was looking forward to the day I graduate with my PhD and saying that I don't want to wear that ugly hat. (University regalia is very colonial). "What can I wear on my head?" I asked, wondering what would be appropriate. She said "I sure wish we had granny's headdress." I laughed, "well, I couldn't wear that." "Why not?" she asked. "You are getting your doctorate! That's a huge accomplishment!" And it led me to wonder about how we honour folks now. My mom is a chief, but granny's headdress has long since been taken from our community. We don't know where it is, probably hanging in a museum somewhere. This is how colonization works. In my family, we've lost not only our relations (what you might call "cultural artifacts" or "objects") and also the spirits that live in each of the feathers of those headdresses, but we've also lost many of the teachings surrounding them. When we see them being replicated without honouring those spirits, and worn outside of our Nations, it's frustrating. It's hurtful. Mind you, I don't say this without hope. I believe that we can get that knowledge back. I also believe that we can adapt traditions and protocols to suit who we are in today's world. I've been honoured and gifted with my own feathers and I honour and use them in the ways I have been taught. I will wear them in my graduation. Kwe kwe, aaniin everyone. Feeling very lucky to be included in this discussion. Mesgi'g wela'lioq, big thanks to you all for generously sharing stories and photos of your families to ground these conversations. Since watching your excellent film there JJ, I've been thinking about how these topics you bring up relate to two-spirit and gender non-binary people, our places in our communities, families and Nations. As mentioned, not all Nations have headdresses. I'm thinking about how not all people who are in leadership roles are so visible. This idea people have about what an Indigenous person looks like is often not from Wabanakik [East Coast] nor are they of gender complex, trans or gender non-binary people. So people don't really know what we are all about. It's easy to get it twisted and project all kinds of fantasies and fetishes onto us, using incorrect, derogatory or outdated English words. They want to wear things because they want them, but they don't want to deal with racism or transphobia for example. My limited understanding of two-spirit is that this is a responsibility, rather than an identity, that is about supporting and centring trans and cis women, children, grandparents and people with disabilities. It's important to centre two-spirit in the present moment, not a vague past, nor a futurist imagining, because our loved ones need us and our ways of doing things right here. We are living people who are in motion. As people who can carry responsibilities around ceremony, there is a rebalancing happening with gender divided things. I've been taught that two-spirits can sit wherever we know ourselves to belong but this doesn't always mean that the world is ready for us, or knows how to support us. For me, as a Mi'kmaw, two-spirit helps me step into my responsibilities without unnecessarily stepping on toes, while I'm learning L'nuis'i words that tell us who we are. 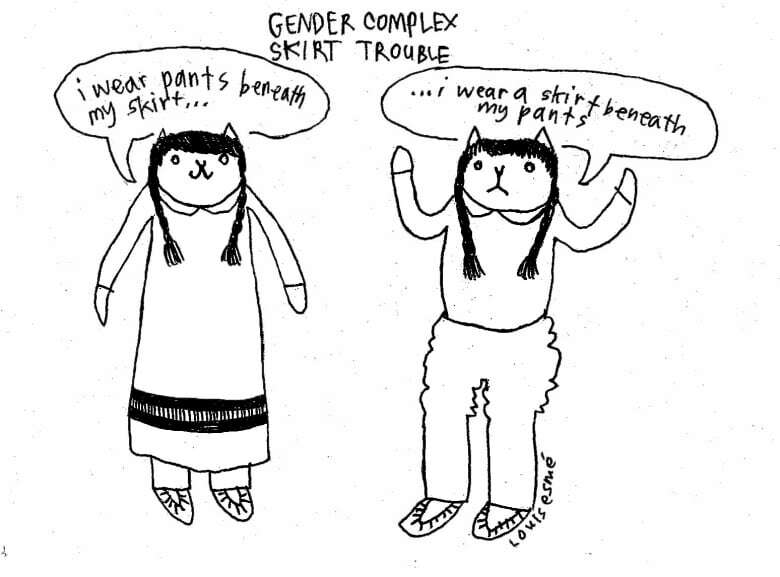 I'm including a little comic I drew about skirt protocols from a gender complex experience. Maybe it will give a little laugh. Thank you, Louis for that comic, it's so good. Made me think of Leanne Simpson's piece in her new book This Accident of Being Lost called "A Few Good Reasons to Wear a Long Skirt." I won't give anything away, but it's definitely a treat. I always wondered about the skirt protocols too. When I met my husband I started going to more ceremonies (his side is more traditional than mine). I asked everyone why I had to wear a skirt and they just said "it's traditional." Finally one spiritual advisor (I think he was Dakota) had an answer: a skirt is like a teepee, the home, the heart — and the woman, the mother, is at the heart. Then he added: the skirt inverted is a V shape and it's like a womb. Mother is creation, sacred and the skirt is just a symbol/reminder of that. I'm like, that's a good answer but … what if you're gender fluid, or two-spirited or just more comfortable in pants? Again I got the "it's traditional" answer. I just re-watched JJ's video, and I cried again at the moment when the headdress is placed upon your head, JJ. Yes, the Headdress film is very powerful. It got me emotional. Brought tears to my eyes. So for myself: I grew up playing hand games and I was also a very young hand games drummer. I picked it up when I was seven and it came natural for me. In some Native cultures women are not allowed to touch the drum or play hand games. But that's not the case for the Yukon. Hand games are very popular here. Last year we had an all-woman's tournament for Mother's Day, which is now a bi-annual tourney. We as women are not allowed to touch the drum when we are on our moon time, which I do respect and believe in. From my understanding two-spirited people are very powerful because they hold both men and woman within them. 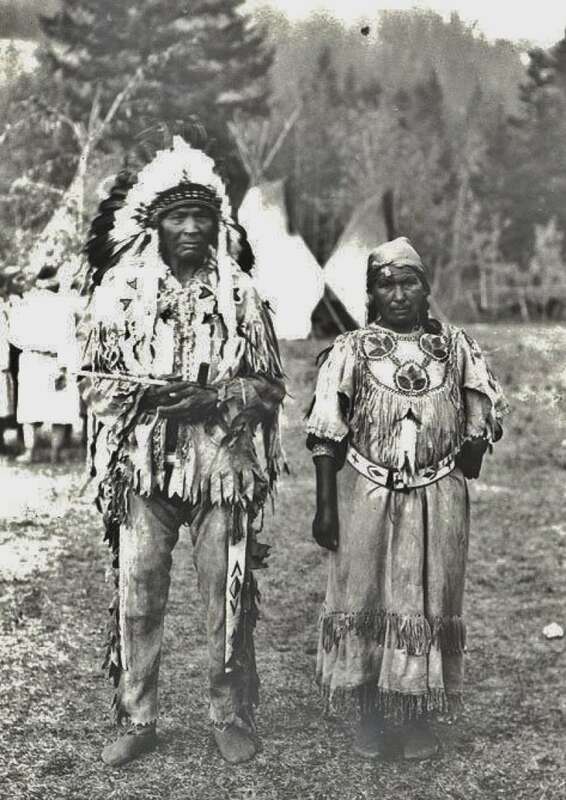 I wonder what type of roles two-spirited people had a long time ago? As Louis brought up two-spirit, I had some more thoughts. I agree that it is a responsibility. It's not about sexuality, as I have been taught it, but more about how we move in the world, and about a re-balancing, as Louis so beautifully noted. 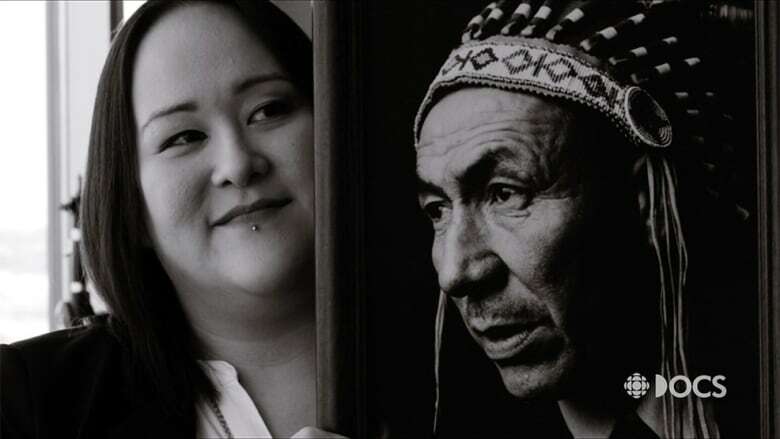 I've been lucky to attend ceremonies where two-spirit people are leading, and yet still I have often felt weighed down by the ways in which our ceremonies are gendered. As an example of this, I have a complex relationship with skirt protocols which largely depend upon the relationship I have (or don't have) with the person(s) leading the ceremony I am attending. One recent example: I started a group called Qsquared, open to all those from "queer to questioning" and closed to cishet folks. I chose to hold this group at Trent University's tipi, and because this group was born out of a desire to connect after the Orlando shootings, I chose to hold a sacred fire. At the time I had no fire protocol teachings, because I had been told before that fire keeping is a man's role, and so I had not sought those teachings out prior to this event. In realizing this, I then decided to ask for those teachings and begin to learn. Upon holding the gathering, I also offered up medicines for people to use. One attendee asked if I would share specific protocols about medicines and menstruation. I replied that for our purposes those protocols had no place in the space. 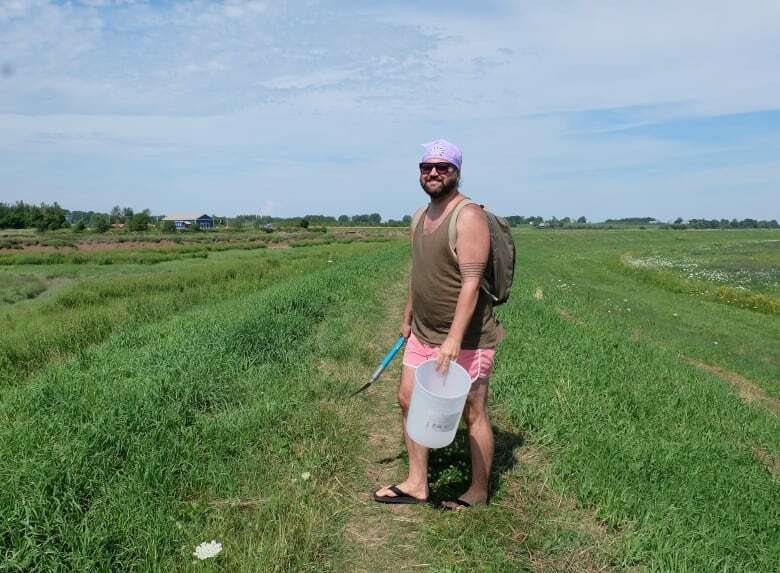 When holding a trans/two-spirit inclusive event that I was specifically leading to open up space for folks in a grieving community, I had to make decisions that felt uncomfortable, but were also just the right thing to do. Having the back of my trans siblings in this space meant that I had to decide what was right in that moment. In other spaces, I respect and follow the protocols being asked of me. I suppose I feel that protocol is sometimes as fluid as my gender, and yet I have a deep and profound respect for our knowledges, and our Elders. Every time I approach ceremony I have to converse with myself and the spirits, my ancestors, the medicines. I think what I love about JJ's video is that it illustrates the conscious decisions we are continuously making as Indigenous peoples. It's not just "hey, my grandfather's headdress is cool I'm going to bring it to WayHome Festival." We are spending time with ourselves, with our ancestors, with the medicines, with the spirits of the relations (again, what others might call "cultural objects") to learn what is right for us. And yes, sometimes that answer challenges ideas that are widely held and stubbornly clinging on despite the resurgence of not only two-spirit knowledges and understandings, but also those of women and mothers as leaders in our communities and nations, even when some of these protocols are oppressive and, I'd go so far as to argue, don't come from us. Let me just say, I never thought my film would spark this many conversations. Certainly I had hoped discussion would happen, but I'm continually blown away by how much folks are just talking in general — about Indigenous concerns, ceremony, protocol and of course navigating all that as women or two-spirited people. You know, I'm so blown away by the kindness and generosity in your words. Recently Jesse Wente shared how our ability to be vulnerable is our greatest strength, which reminds me of the tremendous kindness I've witnessed from people in leadership even when so much is asked of them. It's true, every day we make decisions about how best to live when we are reminded in so many ways how we were never meant to be here by someone else's choice. (Thank you, Audre Lorde). Ceremony is very complicated hey? There's a lot of nuance, something that takes a long time to sort out in a big city where there's people from all over Turtle Island and beyond. A teaching that has helped me is that of non-interference. It gives us the power to decide how we would like to be in the world, what we are responsible for, how others are expected to treat us and when consequences for transgressions are needed. As a person who's medically altered my body in order to have a safer and happier life, who is also gender complex, I've dealt with a lot of people's judgments that have nothing to do with my actual needs. I'm also someone who pays attention to what happens to other gender complex people's experiences. It's very acceptable for cis people to interfere with our lives. It's completely normalized to tell us what we are about. The harm this causes is tremendous, the results being that people feel like we can't exist in Native communities as our authentic selves, and yet we experience all kinds of harm in non-Native spaces. I like what you shared, Angela, about making distinctions between spaces you're responsible for holding, and respecting protocols in other spaces. What this brings me back to is the fundamental teachings my Mama is still giving me today. That it's okay to make mistakes, but making sure I'm fed, warm, housed and loved will ensure these mistakes are learning experiences. And that the women in our lives take so much care to make things enjoyable, sweet, funny and accountable. That when I get all heady and serious, she is patient with me until I come back from outer space to just be with her and the other people I love. We wait for each other. We come back for each other. I want to acknowledge the "not enough" feelings brought up here. This feeling, it seems to me, is almost universal among Indigenous people, and especially significant in our two-spirit communities. We need only look so far as our youth suicide rates to see how damaging it is. But it's also a colonial tool. The Indian Act has sought to define us out of existence by literally drawing a line between those of us who are "Indian enough" (status) and not. Of course, enlightened folks say "status doesn't matter, it's about your relationships." But what about those of us who are adoptees that don't know where we come from? Or those of us who can't go home for various reasons? I had a student once who said to me that when she was five, she watched Disney's Pocahontas and then ran to her mom, crying, "I'm not real." I think the use of headdresses outside of their contexts, outside of conscious and deliberate respect for our people, contributes to those feelings of not enough, because we have internalized those images. JJ speaks of wishing she had more "Indian" photos of her grandparents and I wish I had less posed photos and more that showed what everyday life was really like. I want to share one more story, because it makes me think of how colonization worked through residential schools. My granny was an amazing beadworker. My grandma Sabina, her daughter, spoke of how her mother would make her beautiful beaded outfits every year, and how those would be taken away when she went to residential school. When she got them back, the year had passed and they no longer fit so she would cry and cry, sad that she never got to wear them. Much later, my mother, a teenager at the time, had a pair of jeans that needed patching. Granny sewed a beautiful beaded patch on them, and my mom was horrified. She hid the jeans away and never wore them, because Indian stuff "just wasn't cool." Now, I wonder about all that beadwork, and both my mom and I wish we could have learned and kept that craft going. Those feelings of "not enough" come directly from colonization projects — residential schools, the child welfare system, the Indian Act. It's a decolonial project we all have to take on for ourselves, and for each other. So let me close with a riff on the We Matter campaign: You are enough. I am enough. We are enough. 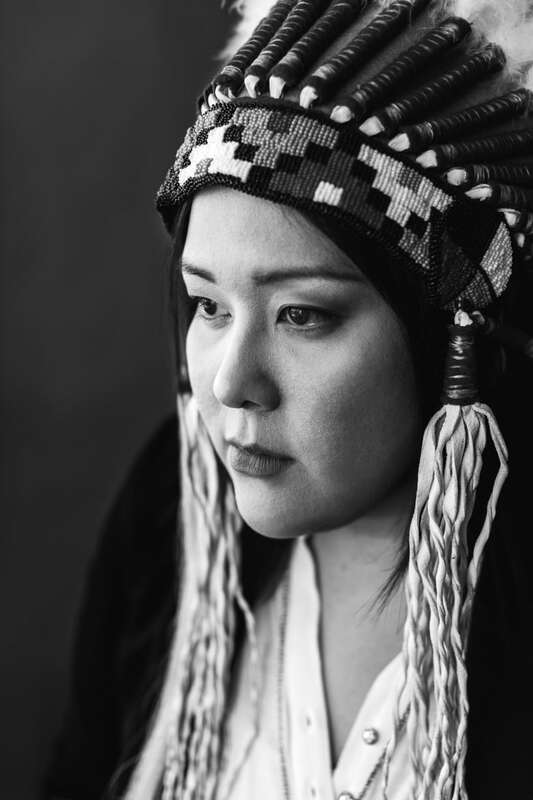 I believe that JJ's video is so powerful and healing because in that moment the headdress rests upon your head, you are reclaiming the love of all of your ancestors, your nation, the spirits that surround you and saying it clearly "I am enough." Husukiǂqukni my heart is happy. Thank you, each of you, for this opportunity, for your words, for your work! Wrapping up my thoughts and hoping to leave the conversations open to the places we'll take this in our lives. There's some real irony in appropriation when people tell us they're "honouring our cultures" while at the same time not actually getting off of us, even just out of the way, though it would be great if the Guswentha [a 1613 agreement between representatives of the Haudenosaunee and the Dutch government] was indeed honoured — as a consensual, perpetual agreement. Check your Treaty, folks! The other day I was talking with a few other Mi'kmaq while working on a clay project about how being disconnected from our cultures, communities and identities many times over the past 400 years leaves a lot of unanswered questions. As an adult coming into my traditions by choice and invitation, I find myself asking why this was and is kept from us L'nu? As a people whose diaspora is vast, we need to address our own histories, as well as what's currently keeping us from reconnecting so we can remove those obstacles together. When I think about the times I've picked up traditions in ignorance and arrogance, I feel some cringe or embarrassment. I'm thankful for teachers who've had patience and impatience so I could learn. Being corrected doesn't need to damage our spirits! I wish there were more spaces to learn things where it's okay to be a fumbling, awkward, pile of love and dedication. I wish it were okay to ask sincere questions. We carry the shame of imposed systems so healing can be about making so-called mistakes. There's a lot that needs to be said out loud. It's my understanding that some lodges make space for two-spirit people to move between "women" and "men" or in between. If sovereignty and non-interference tell us that we come with our own teachings, that we can move between gendered experiences, what's also true is that we have responsibilities around questioning these binary categories. This is especially true when we look at how gender is framed within our languages, now and through time. We know that encouraging people to be their true selves is good for them and good for everyone. I want to see more two-spirit people stepping into leadership responsibilities in ceremony, in all aspects of cultural practice, so that we can also see the profound brilliance we embody. Wela'lioq, thank yous! Hope to get a chance to meet everyone sometime. Thank you all for sharing your wisdom. Looking forward to our conversations to come. Thank you all for sharing your own thoughts, stories and knowledge about your cultures. I love learning about it all. I either had no idea or I had limited knowledge. I can feel my circle getting a little bigger. So many rich ideas, traditions, knowledge is out there and I wouldn't have never known you folks if it weren't for, well, the Headdress film I suppose! I really hope we can keep dialogues and conversations going. This has definitely given me ideas on broader topics to potentially discuss in the future. I also really loved learning about the gender side of it all, like I always knew (or felt) women were valued so much more in our Indigenous cultures and perhaps our views have just been skewed by patriarchal or colonial influences. And therefore some of that shared responsibility, duality and flexibility within our cultures, in regards to teachings/knowledge and its relation to gender, has been lost? But is slowly being found again with the so called "modern" outlook when addressing women or two-spirited peoples in leadership roles. Thank you again for watching the film. It means a lot to know that it struck a chord with you all. I'm so grateful to be part of this discussion. I really feel I can move forward with all this great energy accompanying me. The very idea of a male figurehead representing a community's concerns is a patriarchal one. I've heard stories that settlers would not speak to women and gender complex people because they did not think of them as leaders. We see this today when cis men are expected to fulfil masculine stereotypes of leadership on behalf of people, or quite frankly, on their own as politicians, lecturers, negotiators. Because of cis-sexism, it's literally unsafe for trans and gender complex people to be highly visible. Even as I write this, I'm considering the many people who could write this better than I ever could, but who aren't in a position to be out there. I also have concerns that writing this may upset some people who won't see a connection between their own displeasure and an assumed hate for trans and mixed people. We started Titiesg Wîcinímintôwak // Bluejays Dancing Together because we need space to create and recreate our lives, bodies and stories. If the world isn't ready for us, we can create the world we need. We do this by hosting ribbon skirt and shirt workshops that are open to all genders, where supplies are provided and where no one will be asked to justify their clothing. There's also the Living Legacies project where we are actively re-inscribing our lived experiences in Tkaronto through creation activities like growing, harvesting and processing medicines; making clay rattles, seed carriers and free form sculptures; literally writing our stories together; working with performance, costume and masks to ignite our traditions in a supportive environment. If we are talking about leadership then it's very important that youth and children are centred in this conversation, because I agree with Angela that this is a damaging, colonial tool that I feel is being ignored by Canadians because it ensures we are erased, in order for the land and waters can be exploited. Centring trans, gender complex and non-binary youth and children means actually listening to them for identifying the root problems and most critically, their brilliant solutions. This is an extension of Natural Law. They are living in a dystopian present, which many of us can remember knowing as children, so they are the best teachers of what needs doing. Actually following up and doing what needs to be done is about living a good life. Supporting youth and children by not just telling them "it gets better" but working to make things better with them. Their leadership is what's changing things. Something I've been taught, that I agree with, is that no one is better than anyone else, and no one is worse. When two-spirit people are dying of suicide, on the one hand, and there's considerable resources going in to obtaining degrees and access to Canadian systems on the other hand, we need to ask ourselves whether some people's knowledges and experiences are being weighted heavier than others in our communities. We have the capacity to self-organize outside of Canadian systems and we don't need to wait for people in positions of power to do what needs to be done, nor do we need recognition from anyone for doing it. If we want to see things change for cis women, then we need to make fundamental changes to our use of the English language, the ways we let cis men's behaviour slide, as well as our participation in academic, political and other institutional spaces and the ways we forego accountability to children, youth, people with disabilities, trans women, gender complex people and folks using substances to cope with colonization. We know that the water is actively being poisoned and the people who are doing that, hiding behind corporations, can't be allowed to get away with it.